Black Ice Software has released (11/08/2011) version 5.23 of the Print2RDP with the new Web Access feature for simplified browser printing supported on Windows Servers 2008 and R2. 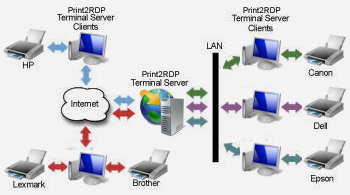 Print2RDP’s new key enhancement feature simplifies printing for users with a browser interface for terminal server Web Access. Customers with Version 5.20 and 5.22 can upgrade for free. Customers with a valid maintenance subscription can also receive the most recent upgrade for free. Please contact impactsales@blackice.com with your serial key. when upgrading the server version.